Is there a large Gap between what you WANT to do and what you HAVE to do? Do you feel overwhelmed and under-accomplished? Does your life lack passion and purpose? 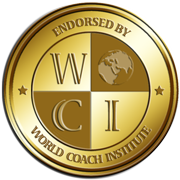 Whether you have a specific goal in mind or you are looking for ways to bring joy and purpose into your life, life coaching can help you make meaningful life changes for a richer, more fulfilling life. The process isn’t easy. It will take grit and determination, but through that you will achieve growth and cultivate resilience. As a life coach, my goal is to inspire you to make meaningful, lasting life change. This involves taking the time to figure out what you really want, breaking down the reoccurring barriers that are in your way, and replacing them with clear pathways to present and future success. How does life coaching differ from therapy? I have tremendous respect for therapists and their role in helping people heal and move forward with their lives. Traditionally, therapists are treatment-oriented and look for answers to problems in the past. Life coaches are more focused on the present. We acknowledge the past, focus on the future and help you find answers within yourself. We live in a fast-paced society where it is easy to lose site of personal goals and aspirations. Often, individuals fall into a pattern of seeking temporary solutions to problems so they can ‘keep up’ with the demands of their daily life. Unfortunately, by nature, they don’t last long and these unresolved issues become reoccurring barriers that block success. Life coaching is not a one-size-fits-all program, like so many self-improvement books that wind up in the trash or stuffed in the back of your bookshelf. What works for one, does not necessarily work for another and the process of trying to ‘make it fit’ can be overwhelming and frustrating! It’s a partnership where the common goal is an unwavering commitment to your personal success. Goals are defined, issues addressed confidentially, and action plans are created to support your individual needs and circumstances. Action steps take into consideration what motivates you, and what will make the biggest impact in your life. A coach can help you to achieve your goals by helping you break through your barriers and giving you the guidance, motivation, accountability and the support you need to be successful. How will I feel when I complete the program? Whether you hire a life coach to work on a specific issue or to find happiness by re-purposing your life, you will feel a tremendous sense of accomplishment! You will become a more positive, energized and resilient You! Better prepared to recognize opportunities. Better prepared to anticipate and overcome obstacles. Better prepared to claim the life you want, knowing who you are and having confidence in your ability to make the right decisions for You. Getting Started: A Complimentary Consultation gives you an opportunity to learn about my life coaching services in the context of your unique situation. If you choose to proceed, we will discuss the various packages available to determine which is right for you. I offer several different coaching packages. If you have questions, please email me! Sessions are usually held on a weekly basis for an hour, but can vary in length and frequency according to the chosen package. Sessions build on one another, as growth is achieved in incremental steps, so consistency is crucial. These may be held in person or by phone. Coaching Tools & Resources: Coaching tools and materials will be provided to support you throughout the coaching process. Exercises take on many forms and can be instrumental in identifying specific areas of improvement and raising your self-awareness to motivate change. Please Note: All sessions are confidential. I respect your privacy and will not share personal information without consent. Pre-Session Prep Sheet: This gives you a platform to celebrate successes, address obstacles and prepare to get the most out of each private coaching session. Post-Session Summary: After each session, you will have an opportunity to summarize what we discussed and outline your action steps for the week. This provides you with a measure of accountability. It also allows you to recall our session throughout the week without having to take notes during the session. Email Support: I offer email support between sessions to expedite your progress and maintain your momentum. If you encounter an obstacle between sessions, I encourage you Not to Wait! Contact me when an issue arises so we can work through it before it becomes a setback. This will help keep you on track with achieving your goals. The idea is for me to be in the trenches beside you, not calling down to you from some distant place. I am 100% committed to your success. I want you to achieve your immediate goals and go on to make meaningful life changes by implementing success strategies in all areas of your life. That is why I offer a cost-effective monthly maintenance program, with continued email support, to keep you on track after your three to six month program is complete.